A sad day… just found out that my second home for most of the 80s and 90s, Jillys Rockworld (Rock World ..? ), closed its doors for the final time last month – Jillys is no more. On countless nights my bike (there were many) was parked on the pavement under the watchful eyes of Danny, Scotty, Sarge and the other rather intimidating yet pleasant chaps on the doors – mostly recall Scotty as only guy I knew who ever owned a rotary engined Norton, which proves that despite being as hard as f@*! he obviously had a sense of humour. Not being much of a drinker, going on the bike never presented any difficulties – The Swinging Sporran first for a pint of Orange, The Salisbury and then on to Rockworld to spend most of the evening throwing my 17 stone 6ft 4 frame around the dance floors, long hair whipping in a frenzy. A constant stream of people who I counted as friends but have, alas, not seen or heard from for many years – Shaggy, Val, Tracey, Goose, Andy, Siobhan (Chev the DJ), Neil the Pot Collector, Sue the Librarian and many, many more. I can vividly remember the first time I went (1983..?) – pounding rock music getter louder as I descended the stairs and rounded the corner to be greeted by a sea of strobe lighting, waving hair, sweat, stage-smoke and Ronny James Dio blasting from the 8 foot tall speaker stacks at the end of the floor (where I used to hang out, mostly). I felt like I was home..! Jillys had just moved to the basement of the Oxford Street venue when I started going in the early 80s, then around 1990 it was extended to upstairs as well (taking over what had previously been Fagins) and renamed ‘Rockworld’. It was the primary ‘alternative’ nightclub in the North West (I’m not counting the Banshee, Phoenix or friday night at Maxines in Wigan) – the next closest of any size being Rock City in Nottingham (used to go there if I fancied a good long ride, but it lacked Jilly’s atmosphere). I thought it would never end, but it did… and now it has ended for Jillys too. So… farewell then, Jillys – you were a part of my life and the cradle of many happy memories. 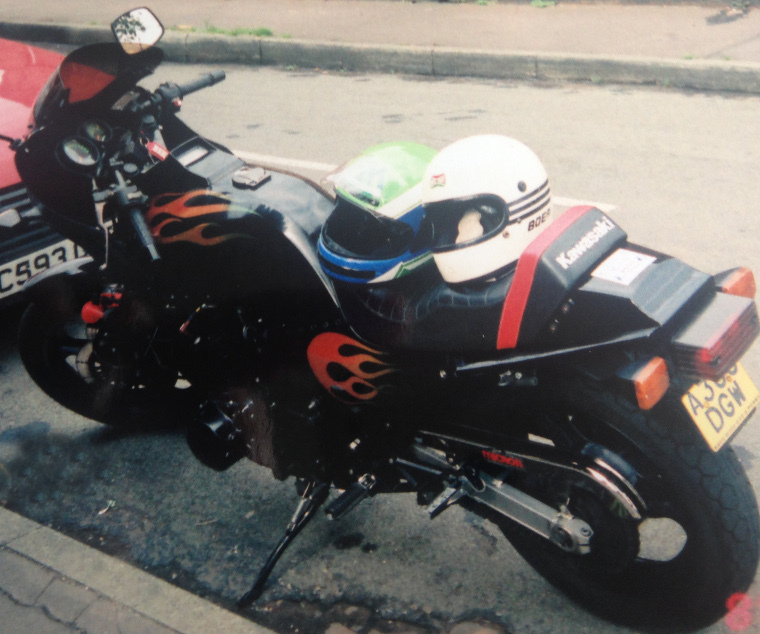 Shame I have no photographs of this era (for various reasons – long stories) or I’d have posted some here; anybody got one of Big Will (me) and/or my bikes then please give me a shout..! Ahhhh… my bikes – XJ750, GSX750, Z750, GS850G, CB900F2, GS1000, Z1100R, GSX1100, GPz750 Turbo, GPz1100 A2, Triumph Trident 900 and my chopped powder-coated GPz1100 with Orange and Red flame job on tank and side panels. Happy days..! I have been advised that there is a Jillys Rockworld Facebook page where a lot of the old Jillys crowd keep in touch… Generally only use Google+ for social networking (there should be a link at the top of this page) but may set up a Facebook account and take a look. Surprisingly this article gets hits from all around the Globe, and not just Manchester – never would have guessed that Jillys had as profound an effect on many other people as it had on me..! RIP To my old best buddy who, God bless him, used to forever be getting himself into all kinds of trouble that I’d have to pull him out of – Glenn Kinsey. Found out he was killed in Stockport many years ago by a drunk driver. Glenn had a razor sharp wit and was a major pain-in-the-arse who will be missed by all who were honoured to know him – if his kids ever read this, ‘Uncle Cyclops’ sends his regards. Sympathy also to Ian Forrest, our former boss and friend from G.U.S. For the forseeable future I’m working in the heart of Manchester – half way between the old site of Jillys and the Swinging Sporran, just round the corner from the Salisbury. It’s a strange sensation pootling past the old stomping grounds on the Rocket – don’t get me wrong, things are good now… but back then they were somehow more care-free..! The Swinging Sporran is now called ‘The Retro Bar’ – have yet to pay it a visit – not sure if I want to. Tagged Biker, Jillys, manchester, Rockworld. Bookmark the permalink. Don’t know if you remember me… I spent most of my time in the Sporran in the early nineties, often accompanied by my mate Ian. 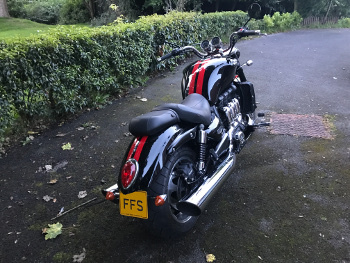 I was just telling a lovely lady I met in the States about the Sporran and mentioned you and your Triumph 900… Imagine my surprise when I do a search for the Sporran to show her and come across this! Hope you’re doing OK. It’s been a long time! Shame the Sporran and Jilly’s are no more – spent many a happy (and drunken) hour in those fine establishments! Hi Smurph… think I recall you – stocky guy, lots of stubble ;o) Was Ian a big guy with long hair and permanent grin..? So you over in the States..? The US is the reason for the significant delay in replying and lack of activity on the site – our parent company is based there and I’m probably working 18 hours a day at the moment, more work with less resources seems to be the mantra..! Other than workload life is pretty good, finally got married 3 years ago to a lovely South African lady who doesn’t let me get away with anything :o) Miss the bikes and the good times but what the hell – guess I’ve grown up a tad too, although planning on another bike in the near future to keep the flame burning. Hi hun good to hear things are good. If you are on face book u can find me & many others there. I might have some old photos of you lurking in the archives. Sadly not with your bikes, maybe with the dog (Pagan the Great Dane) or with a Sabden Treakle Miner from Pendle. Glad to hear you are doing well. After all you did save my daughter’s life by pulling her out when she completely disappeared into a hole filled with water on Scarborough beach. Congratulations on getting married, hope you are enjoying it as much as I am, 15 years for me and my Craig now, and we can do without the “don’t get that for murder comments”. Gook luck with getting another bike, maybe the wife will let you have one if you promise not to park it in the hall! Thanks for sharing and for the invite – will set myself a facebook account up and take a look..!